Key Difference: The American Civil War was a civil war fought in the United States of America. The war was fought between the Union and the Confederates. 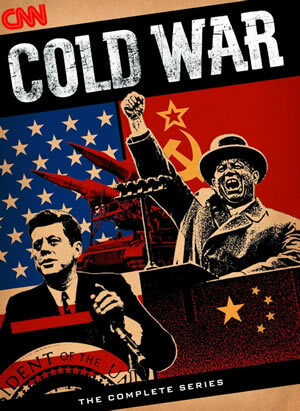 The Cold War was a state of political and military tension after World War II between powers in the Western Bloc (the United States, its NATO allies and others) and powers in the Eastern Bloc (the Soviet Union and its allies in the Warsaw Pact). A civil war is basically any war that is fought between two sides in the same region or country. The objective of each side in the war is to try to take control of the country. When it is usually talked of in the same context of the Cold War, the term is usually used to refer to the American Civil War. 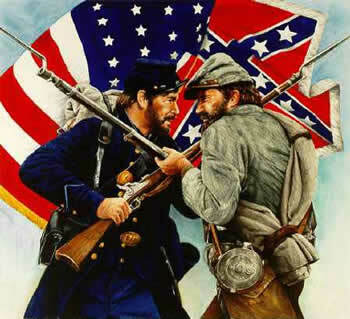 The American Civil War was a civil war fought in the United States of America. The war was fought between the Union and the Confederates. The Confederates were the Southern states that supported slavery and left the United States when the government banned slavery. The states that supported the abolishment of slavery and stayed were called as the Union. The Southern States saw the abolishment of slavery as a violation of their constitutional rights. According to them, the government did not have the right to take away their private property. Hence, when Abraham Lincoln, who was pro-abolishment, won the presidential election, the southern states seceded from the United States of America to form a country of their own, the Confederate States of America. The United States of America saw this secession as unconstitutional, and did not recognize it. In fact, the Confederate States of America was never recognized as a country by any other country or institution. The Civil War is infamous in America as it turned ‘brother against brother’. The war itself lasted four years and ended in 600,000 soldiers dead. The end result was that the South's infrastructure was destroyed, the Confederacy collapsed, and slavery was abolished. After its end the Reconstruction Era began which lead to the processes of restoring national unity and guaranteeing civil rights to the freed slaves. The Cold War, on the other hand, is called that mainly because it wasn’t a war, at least not in the traditional sense. There was hardly any fighting or battles in the Cold War, rather the term refers to the state of political and military tension between the Western Bloc and the Eastern Bloc after World War II. The Western Bloc consisted of United States, its NATO allies and others, while the Eastern Bloc was made up of the Soviet Union and its allies. World War II ended with the victory of the Allies over Axis Powers, leaving two superpowers to contest each other: the United States of America and the Soviet Union (the USSR). The two countries had nothing in common except of the fact that they opposed Nazi Germany. After that threat was over, the two differed radically in both politics and economics. The USSR was a single-party Marxist–Leninist state with planned economy and controlled press, while the USA was a capitalist state with generally free elections and press. Being stark opposites of each other, at least politically and economically, added to the fact that they were both superpowers, it was only natural that they would feel threatened by each other. Add to this the fact that they both had vast militaries at their disposal, which included nuclear weapons. The actual start and end of the Cold War are contested, but are generally accepted to be 1947 to 1991. This period of 44 years was marked with a struggle for dominance on both sides, which led to proxy wars around the globe, psychological warfare, massive propaganda campaigns and espionage, rivalry at sports events, and technological competitions such as the Space Race. The war eventually ended when the Soviet Union fell and disbanded in 1991. Soviet Union fell and disbanded in 1991. United States continues to be a superpower to this day. The Union won. Slavery was abolished, and territorial integrity was preserved. The Confederate States was dissolved, and reassimilated within the USA. Led to the beginning of the Reconstruction Era which should to rebuild the country and get rights for the former slaves.